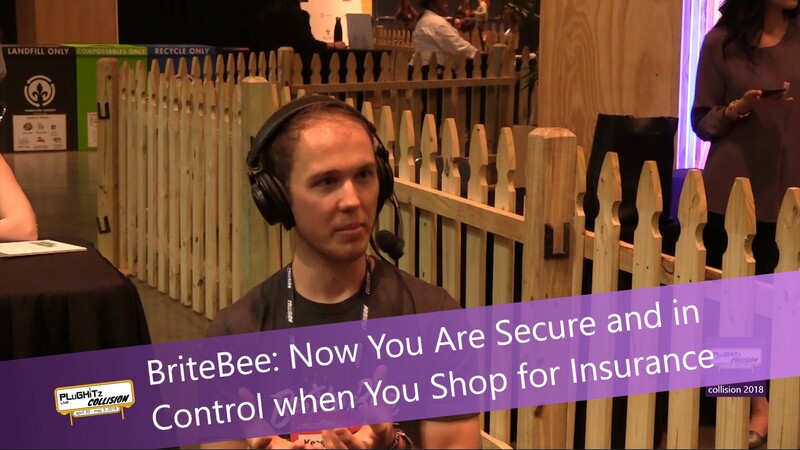 BriteBee is a new way to shop for insurance that refreshes the experience for the online consumer as well as improving outcomes for insurance professionals. CEO and co-founder Keagan Henson joined us at Collision 2018 to share how BriteBee is disrupting the $1 billion a year insurance industry in a positive way by putting the consumer in charge. With the BriteBee three-pillar platform of "Share, Compare, and Communicate," the customer maintains full control of their policy search process without falling prey to lead generation sites that collect and sell consumer info, and subject the customer to robocalls, spam and phishing threats. Customers share their information a single time, saving it to a secure and private profile that is not visible to insurance companies. They can then compare quotes, agents, and experiences in one place, choosing only the agency with which the customer wishes to work. The platform also gives customers the ability to request quotes from up to five agents at once. The consumer communicates with agents on his or her own time with no unwanted calls or emails from insurance companies, and consumer information remains private until the customer decides to share it. By creating a consumer-controlled platform, the company looks to build trust and brand loyalty and seeks to build their revenue model off subscription services to agents rather than insurance customers. The benefit to agents is that by the time a customer decides to connect, it's a warm lead for them, from a potential client who reached out independently and who is ready for and expecting a quote. Agents have opportunities to market on the BriteBee site but in a controlled environment, through agent "spotlights" and blog features. BriteBee currently offers home, renters and auto insurance, with plans to expand as they grow. You can learn more about the company at their website.